Mike started Mike's E-Bikes in his 'garage' in 2015 out of the motivating belief that electric bikes would help change people's commuting, and recreational fitness lives for the better. Mike had been closely following the development of electric assist bikes since the late 1990's, when Lee Iococca (former Chrysler Chairman) first began introducing electric bikes ("E-Bikes") into the US. The business has grown steadily such that as of 2018 Mike is operating the business out of his commercial store in Plainfield, just on the edge of Naperville , 2 miles west of Route 59 off of 95th street. As you may have learned by reading elsewhere on the internet, electric assist on bikes makes it so much easier for all ages and all physical abilities (or physical "limitations") to get back into biking. The assist can be gradual, as much you want and when you want it. It won't over-power you, and won't decrease your ability for getting low impact exercise. 'How does it happen that you can get exercise when a motor is assisting', you say to yourself ? Well many studies and a preponderance of ebike riders have demonstrated that ebike riders actually go out for longer rides now, and do so much more frequently, since they do not worry about getting up hills, being away from home so far, and not getting back. Every bike riding moment becomes so much more enjoyable, having that electric assist when you need it, and no worries about innate physical ability, physical ailments, or human stamina. Mike's passion for electric technology and biking for fitness and healthy commuting, keeps him focused on the latest ebike trends with a lot of on-going research. Mike also does a number of electric conversions himself to provide more consumer choices that the market may not be meeting. He recognizes you are going to enjoy your electric bike for many years, and Mike has developed first hand experience on conversions understanding what goes into making quality batteries, motors, and what makes for overall solid bike components. Here at Mike's E-Bike's, you'll find one of the best buying experiences ever, with Mike's super friendly and patient approach, enjoyably sharing his ebike experiences and allowing every customer to take as much time as they need. Thank you for visiting our web-site, and feel free to call Mike anytime, 7 days a week at 331-213-5910. You can schedule a specific appointment to come try any e-bike out for yourself to learn how these e-bikes are great fun, easily 'flattening those hills', and making longer rides an absolute joy. Our vision at Mike's E-Bikes is to see more regular people on e-bikes... not uncommonly, it is those 'long ago regular bike riders' that have sort of gotten away from riding their regular bikes for all sorts of reasons. In today's still emerging US e-bike market, we feel its equally important to provide more options of affordably priced e-bikes for adults and families, thus many of the brands and models we carry are e-bikes priced below $2000. Carrying ebike models that are primarily priced below that threshold, interestingly makes us somewhat unique in the ebike market, as there are so many more models being produced and sold for prices well above $3000 ! If you are perplexed by why ebike prices are so high, so are we. We mention this only because the proliferation of higher priced ebikes often confuses people that have come into our store asking that same question, because again "it's still just a bike with two-wheels, right ?" Please don't let this notion deter you or lead you to believe you can't get a good to excellent quality ebike if you spend less than $2000 - we know that is not true. We have hundreds of happy e-bike customers to prove it ! Our primary brands include Aventon, Yamaha, Magnum, Surface 604, and Blix, that are all excellent quality ebikes at price points you are more likely to find fit in your budget. Buying an ebike here at Mike's, you won't have to deal with all the risks of buying on-line and not knowing what you are really getting in terms of quality or ride characteristics, nor risk being really not sure what your after market support will be like if there are issues with the ebike. 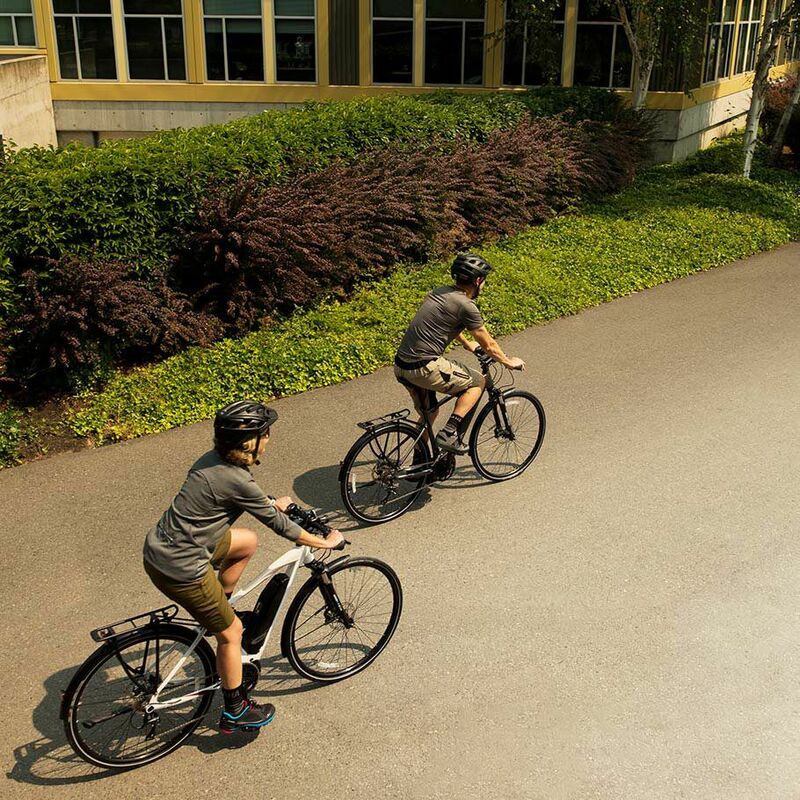 You are always welcome to come by Mike's E-Bikes during open show room hours on Saturday's, or better yet, set up an appointment (https://www.mikese-bikes.com/ebike-test-ride) at a time that is most convenient for you for an uninterrupted buying experience that allows you as much time as you deserve and desire to find the ebike that is best for you !